We covered a House committee hearing the other day on a bill to outlaw red light cameras. 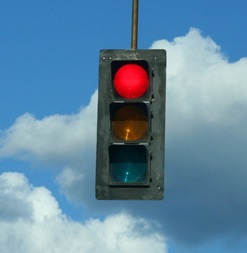 Opponents of red light cameras talked about infringements on constitutional rights. Proponents of them talked about public safety. Opponents of red light cameras say they don’t improve public safety. Proponents of them say they do not violate constitutional rights. When you see a yellow light, prepare to stop. When you see a red light, stop. Sometimes the best answers are in the simplest actions.